Why go? Iceland is one of those places that’s been on my must-visit list for ever – and it completely lives up to expectations! It’s a massive country with a teeny population, 323,000 at the last count, and at one point in my short break we drive for over an hour without seeing another car/person/sign of human life. But it doesn’t feel isolated or lonely – Iceland is totally wired to the world and has the vibe of a place full of things to do. 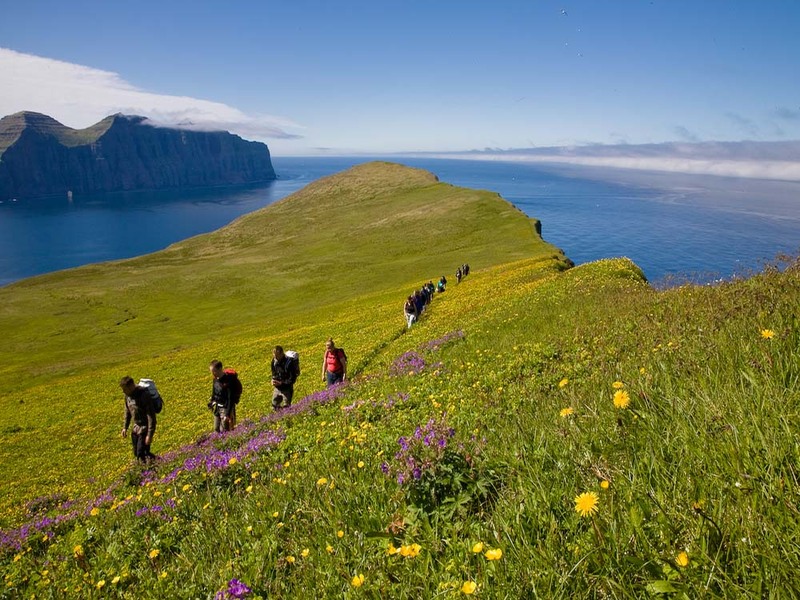 And the Westfjords, a wild peninsula in the northwest of the island, is a particularly good spot if you like outdoor thrills. When? Spring is the time to go for wildflowers, when the landscape is green and coming alive after a long cold winter. In summer it stays light till late (in Ísafjörður the sun never fully sets in July) and there’s a great energy to the place. Autumn is good too, when the rivers have a smattering of ice and the waterfalls still rage. If you’re after the Northern Lights, the optimum months are October to March. You really must: Do it all! Firstly, definitely go calm water sea-kayaking with Borea Adventures (£47 for two-and-a-half hours, boreaadventures.com), it’s the most like Ray Mears I‘ve ever felt. Our guide has a huge knife strapped to the front of his kayak, real adventure stuff, which makes me think all sorts of mystical creatures will come lunging out of the deep. In fact it’s just some incredibly curious seals who follow us around the fjord, diving and frolicking. Out in the middle there is absolute silence and the scale of the mountains surrounding us makes for a very humbling experience. Then try some horseriding on black sand beaches. Heydalur Guest House (£27 for an hour, heydalur.is) will provide all the gear. 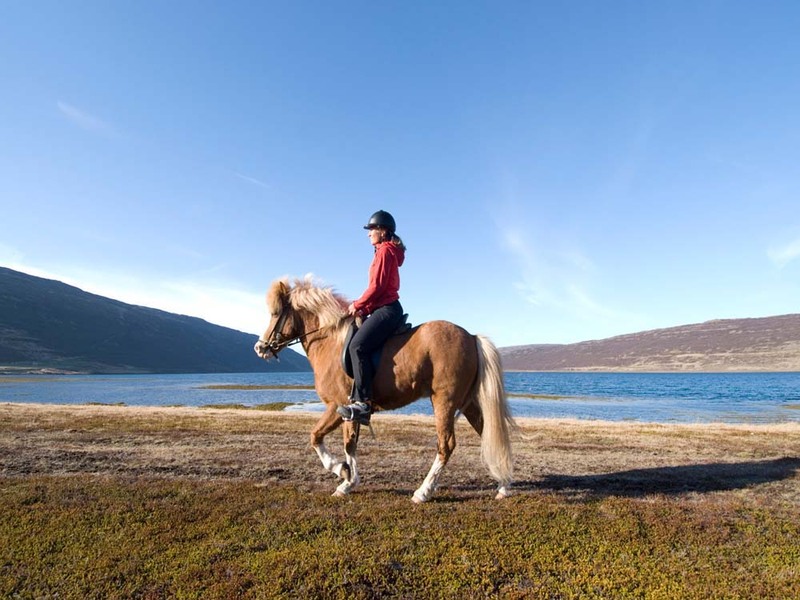 The Icelandic pony, although small to look at, is deceptively strong and hardy. Don’t be fooled by their long flowing locks – they’ll carry you for miles without breaking sweat. Take an extra pair of waterproof gloves as your hands are out in the elements all the time. You can soon warm up by visiting some thermal pools and hot springs. The Blue Lagoon (bluelagoon.com) is the famous one, and near the airport, but there are many more. We just use our own ‘private’ natural one near Heydalur Guest House, and I thoroughly recommend going in the middle of the night for extra amazingness… We trek to it in our bikinis, down jackets and walking boots with a backpack full of cold beers. The clear night and supersonic star show makes it an experience never to forget. And the water really is hot, so much that at one point we have to get out and sit on the icy rocks to cool off. For a scenic tour, take a trip round the Svalvogar Circle, otherwise known as the Westfjords Alps. 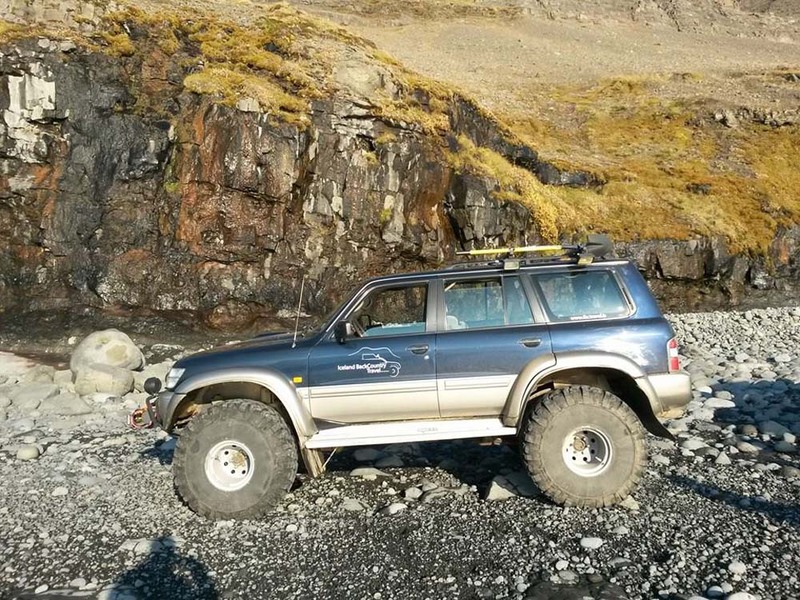 A six-hour trip with Iceland Back Country Travel (ibctravel.is) costs £115 using an ultra-comfy 4X4 superjeep (the wheels come up to my waist!) with regular stops to gawp at the sights and take millions of photos. There’s snow and mountains and fjords as far as the eye can see – and whales. Where? “There!” says our guide casually as two of these mighty mammals swim up the fjord. Stay at: Heydalur Guest House (doubles from £76 room-only until 15 September, heydalur.is) is set in beautiful scenery in a remote part of the Westfjords. The 17 rooms are cosy and there’s a huge converted barn where delicious organic meals are served. Expect morning visits from Kula the black fox. They offer a huge variety of activities, including ice fishing if weather permits, and have an indoor pool with views of the ponies grazing just outside. 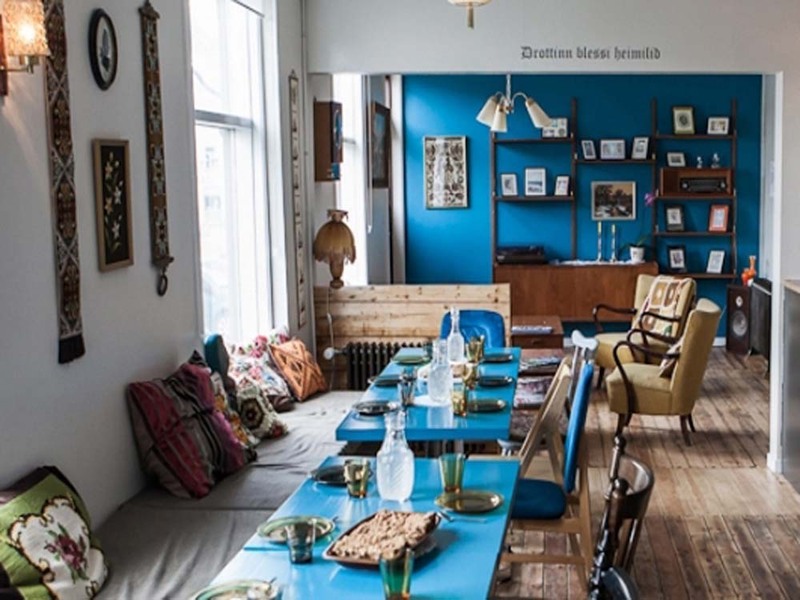 For somewhere urban (relatively), Hótel Horn (doubles from £125 with breakfast in June, isafjordurhotels.is) is in the centre of Ísafjörður, surrounded by coffee shops, bars and the local market which much to my delight sells caviar in toothpaste tubes! The 24 chic rooms have amazing views (ok, that’s pretty standard in Iceland). Most trips start and end in the capital, Reykjavik, which is well worth a day or two to explore. The high-rise, 104-room Centerhotel Arnahvoll (from £128 with breakfast in June, centerhotels.com) lies on the outskirts of the city near the harbour. Don’t let that word put you off – most places are walkable in Reykjavik, and it’s lovely being by the water. Dine at: Although Ísafjörður is small it packs a punch in the culinary stakes. Coffee and rhubarb cake at Braedraborg Cafe (boreaadventures.com/cafe) are a must, as is a trip to Tjöruhúsið (facebook.com/Tjoruhusid), a log cabin on the edge of the fjord, for an enormous buffet-style fish supper. If you’re in the market to sample local delicacies such as minke whale and puffin you can do so at Við Pollinn (vidpollinn.is) in Hótel Horn. You must also sample skyr, which is Iceland’s superfood du jour, a kind of yogurt that’s delicious with berries and fruit jams. Rúgbrauð is a delicious rye-based bread, eat it toasted with salted butter. And roast lamb is a bit of a thing here too, who knew? They thoughtfully wander the wild hills all spring gorging on fresh herbs, which makes for a delicious Sunday lunch. In Reykjavik, make a trip to Sjávargrillið (sjavargrillid.com) for its terrific shellfish soup. Bring back: Rekyjavik is home to some very stylish people – look for brands such as Farmers Market (farmersmarket.is) and Geysir (geysir.com) to get their look, and stock up on knits aplenty that wouldn’t be out of place in The Fall. Flavoured salts are incredibly popular – I bring back thyme and volcanic ash ones – apparently the geothermal Icelandic energy does something special to it! Sheepskin rugs are good value if your baggage allowance allows, if not a bottle of Brennivin is probably slightly easier. This translates as ‘burnt wine’ but is actually a lot tastier than that. Traditionally paired with shark and served in shot glasses, it’s not for the faint-hearted. Getting there: WOW (wowair.co.uk) flies from London Gatwick to Keflavík from £98 return with hand luggage only. From here it’s a 45 minute drive into Reykjavik – take the FlyBus (re.is/flybus), or there are lots of car hire options (icelandcarrental.is). 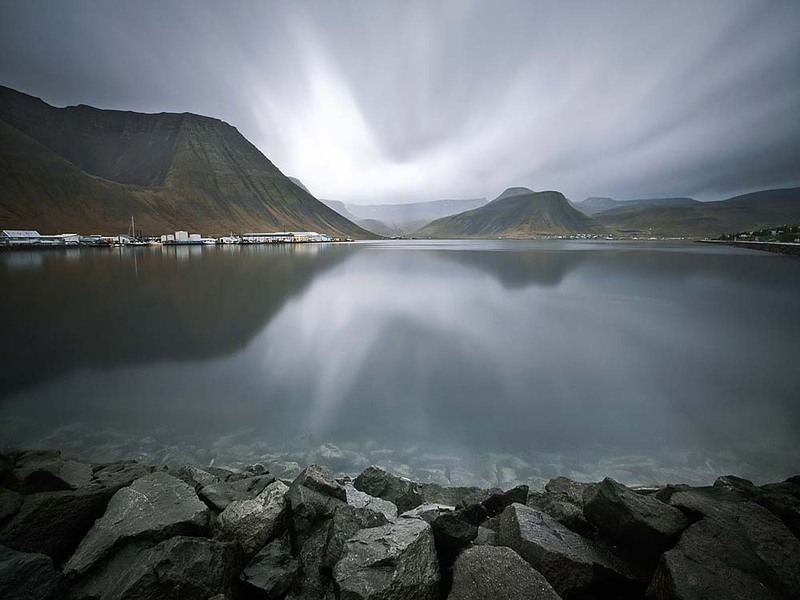 To get to the Westfjords you can drive from the airport in around two hours, or use the James Bond-style mini-planes of Air Iceland that fly to Ísafjörður in 40 minutes (£40 one-way, airiceland.is). Needless to say, the views from the window are sensational. Info: Iceland (£15.99; Lonely Planet) is an up-to-date guide. For more information see westfjords.is and visiticeland.com.